Which materials should you choose when tiling your bathroom? Are you trying to decide which materials would look best in your bathroom? 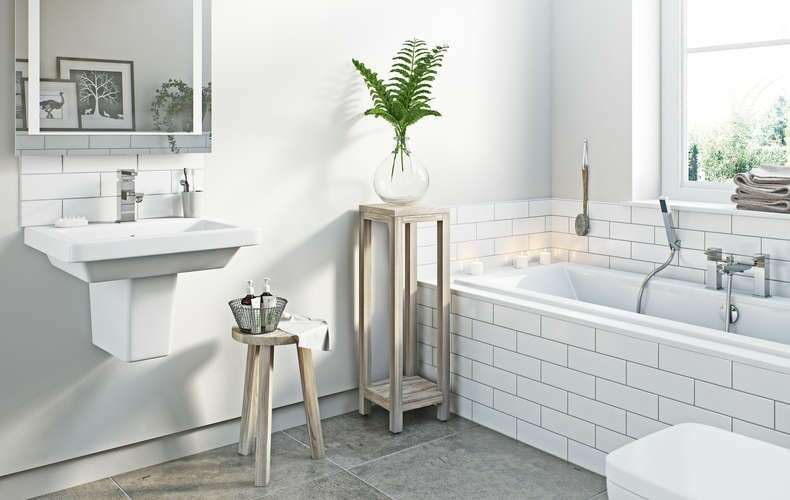 Whether you’re upgrading your bath or simply trying to choose new accessories, you’ll need to decide which materials you want to make use of. It’s possible to use a combination in order to create a unique customised look. Tiles can be used in various locations in a bathroom, although the most common placement is above the bath and around the sink. The main benefit of tiles is the fact they’re easy to clean. The only thing to watch out for is the grout can get dirty over time, but if you regularly clean it you’ll prevent this problem. Bathroom tiles can also reflect light and make the room appear larger than it actually is. If you have a small bathroom this is a major advantage. For a luxurious, modern look opt for floor to ceiling tiles. There are literally hundreds of different style wall and [floor tiles] available—the choice on offer lets you create a completely personalised look. The one thing wood has over any other bathroom material is the cosy, welcoming atmosphere it can create. Warm wood finishes or even dark wood such as Wenge can create a really relaxing ambience. You do have to be careful that the wood has been waterproofed. Obviously, your bathroom can be quite a damp environment, and if the wood isn’t treated it can start to rot—certainly not a great look. The easiest way to use wood in the bathroom is to invest in wooden accessories. These include wooden bath mats and bamboo style vases. It helps to bring an earthly, natural style into the room. Chrome tends to be the most popular choice in modern bathrooms. It’s considered to be quite stylish and even top hotels use it in their bathroom designs. Chrome fittings and accessories are also high quality so they will last for many years. 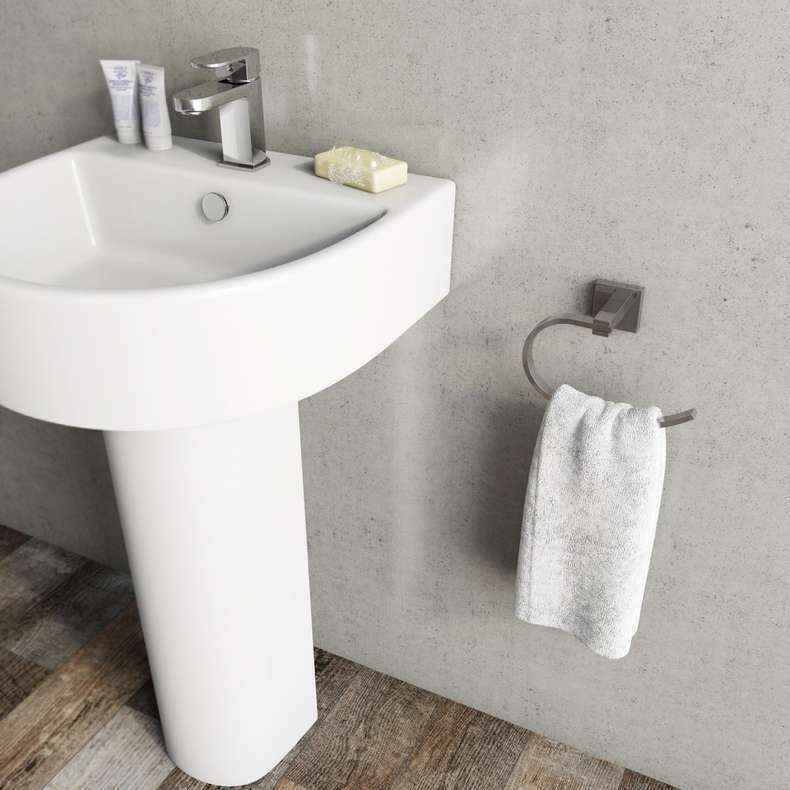 There’s a large choice of affordable chrome bathroom accessories available, making them a very convenient choice. If you like the sound of all three materials, there’s no reason why you can’t incorporate them all into your design. Tiled flooring, wooden bath panels and accessories, chrome taps and a towel rail are great examples of a combined style. You can get ideas online by looking at pictures of bathrooms—you’ll often see them incorporating mixed materials. Chrome creates a modern, sleek style and is a high quality, durable material. Wood can help create a warm and cosy feel in your bathroom, and adds a more natural element. Tiles are a traditional material and can be used to enhance any bathroom, by reflecting light and allowing you to create a more personalised design. Now you have a better idea of the types of bathroom materials available, why not shop our comprehensive range of bathroom tiles, walls and flooring? When it comes to buying tiles, there are many questions we get asked. So, to save you time and money, we've provided the answers to some of the most frequently asked questions about tiling your home. With a wide range of tiles available for your bathroom, it is all too easy to be overwhelmed by the variety on offer. We'll show you how to focus in on the tiles that reflect your own personal tastes. Choosing your tile designs can be one of the most difficult decisions when renovating your bathroom. To give you a helping hand, we have pulled together some of our best tiling hints and tips, along with some of our favourite tiles.